This UK update is brought to you by the TV show “I want that car” on ITV4. UK new car sales continue on their astounding form and deliver a 15th consecutive month of year-on-year gains at +11% to 180,111 registrations, the highest May volume in 6 years. Sales to private buyers are up a whopping 21% on May 2012 to reach 84,202 units, above their pre-recession level of May 2007! Year-to-date, the market is up 9% on 2012 to 948,666 but still down 9% on pre-recession 2007. The Ford Fiesta dominates for the 9th time in the last 12 months, the BMW 3 Series find its way back into the Top 10 for the first time this year but the 6th time in the last 12 months at #7 and the Audi A3 lodges its 2nd month in a row inside the Top 10 (third time in the last 12 months) at #10. Full May 2013 Top 10 models and Top 44 brands Ranking Tables below. Sponsored feature: Are you buying a used car and want to be on TV? A brand new TV show is filming this summer in the UK and is looking for used car buyers. We can and want to get you a better used car for your budget! So If you are looking to upgrade your car or are a first time buyer, then we are looking for you. Be part of this brand new car show and we will help you find a better car for your budget. Email us your details today on iwantthatcar@daisybeckstudios.com… Good luck and make sure you tell the team you heard about the show on this blog! 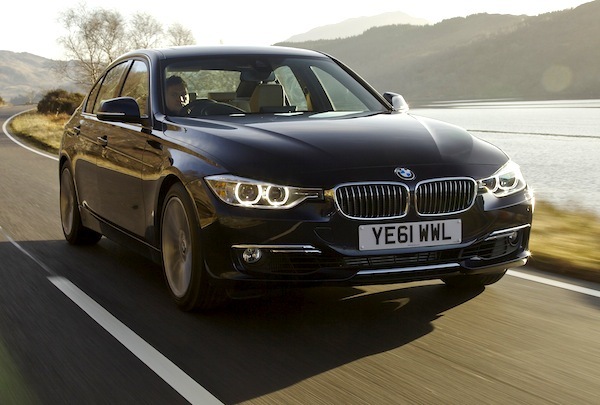 next post: UK June 2013: 2 BMWs in Top 8, private sales up 21%!